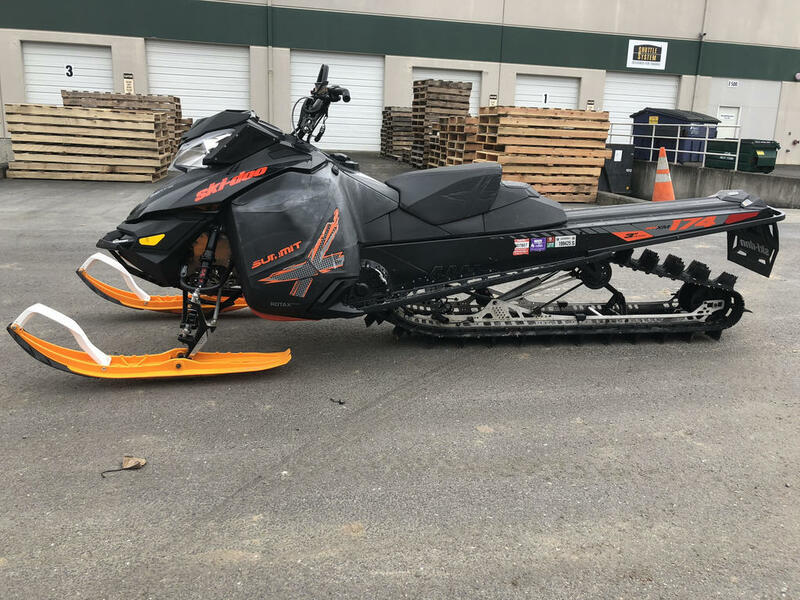 From engine to running boards, the 2015 Summit X sled is made for the mountain. 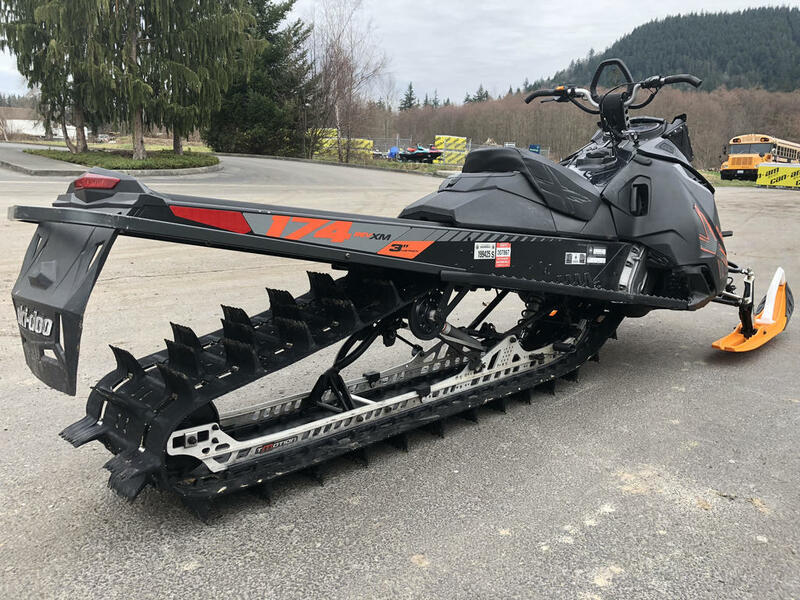 Because it’s redesigned around the most important component – you – it effortlessly conquers the most challenging terrain and technical lines you can find. The tMotion flexes laterally, reducing the effort to initiate a roll, due to a ball joint at the center hinge between the rear arm and drop link and split flat-tube front arms. Very progressive motion ratio makes the ride on trails even more comfortable. 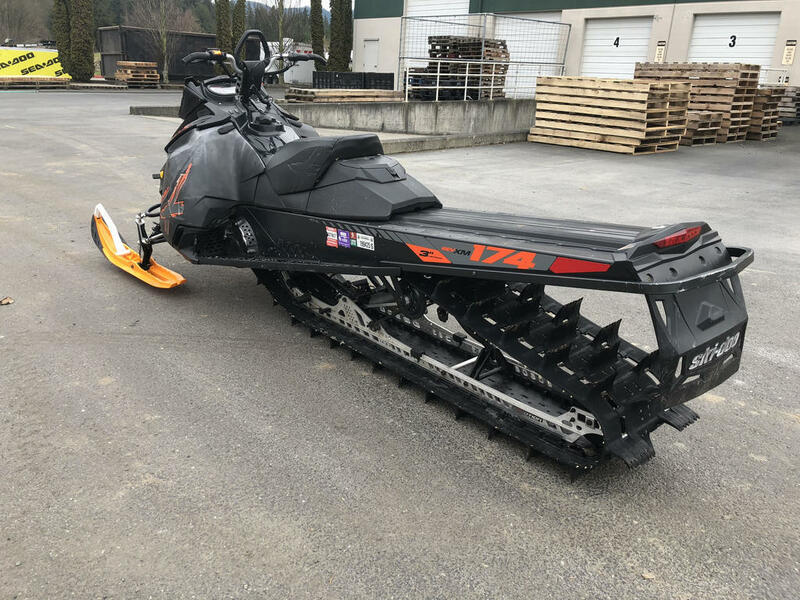 Summit-specific side panels are powderdynamically designed to glide smoothly through snow in any position, easing roll-up and sidehilling. 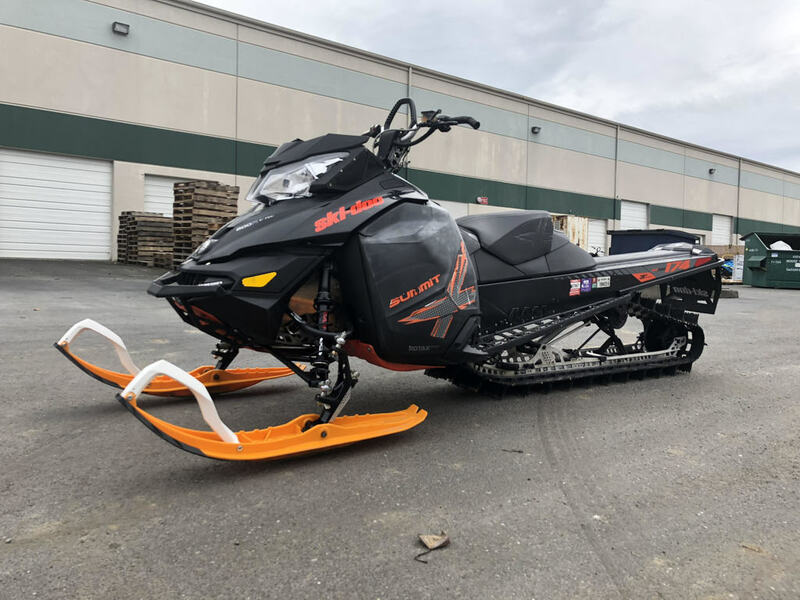 By shortening the fiberglass reinforcing rods inside, the track’s edges flex when you carve the sled, making boondocking and sidehilling easier. It provides the flotation of a 16-in. (41 cm) wide track with the maneuverability of a 12-in. (30 cm) track. Footing is solid with running board snow evacuation holes increased by 87% over the REV-XP. The running board edge extrusion – with aggressive boot grips – is three times stronger than the REV-XP. This revolutionary direct-injection two-stroke features a stunning combination of 163.9 hp*, up to 19 mpg (12.3 L/100 km) and up to 30% less oil consumption than the 800R PowerT.E.K..
And thanks to proven E-TEC technology, it has virtually no smoke or smell – especially at start and idle – and starts on the first pull, every time. We designed the cockpit around mountain riders like you: the gauge is mounted flat, switches are moved to the console, buttons are shielded from accidental activation and the grab handle is rigid and shaped to your hand. Every surface of the seat is sculpted for powder gymnastics. Keep your important items within easy reach in this new 1 gal/4 L glove box. Warmed by the engine compartment, it’s a great place for spare gloves or goggles. Single-keel with excellent sidehilling bite, thanks to thin outer edges. Narrow and thin, yet stiff. Shorter behind its complementary spindle with flat tail for easier counter-steering and sidehilling. 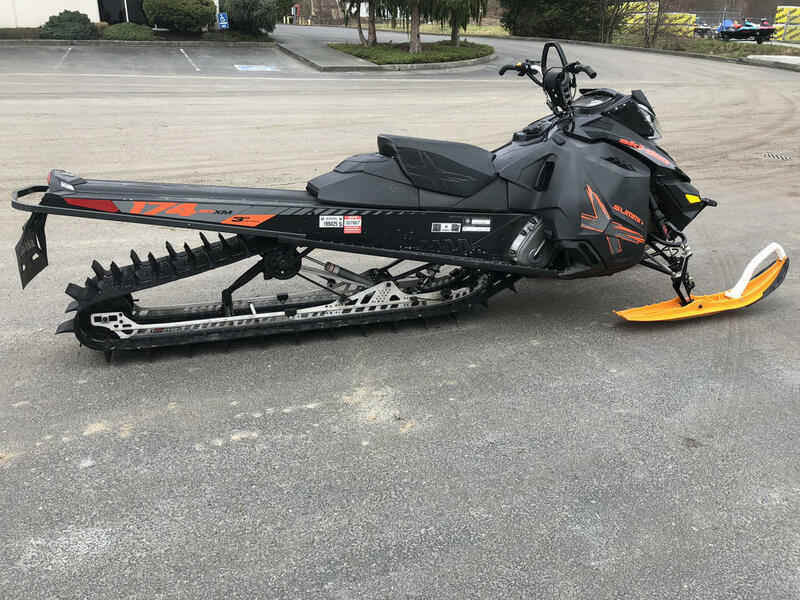 Our cargo attachment system is the hassle-free way to connect cargo bags or a fuel caddy to your sled in seconds.